Help hard-working refugee women treat themselves! 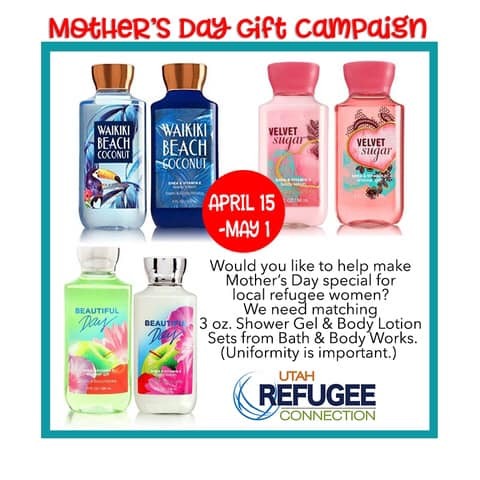 We are collecting Bath and Body Works lotion and body wash sets for a Mother's Day event. Collecting the same items is important for distribution. This is a great group project. We appreciate the amazing kindness and generosity of our followers! We will be accepting these sets from April 15th - May 1st at our sharehouse, but not before or after due to limited space. This year for Mother's Day we have a unique option for you to buy a stroller, car seat, or pack and play in honor of a mother or someone else you love in your life. Click to donate via our Amazon registry and then download the PDF below to let your loved one know you care! 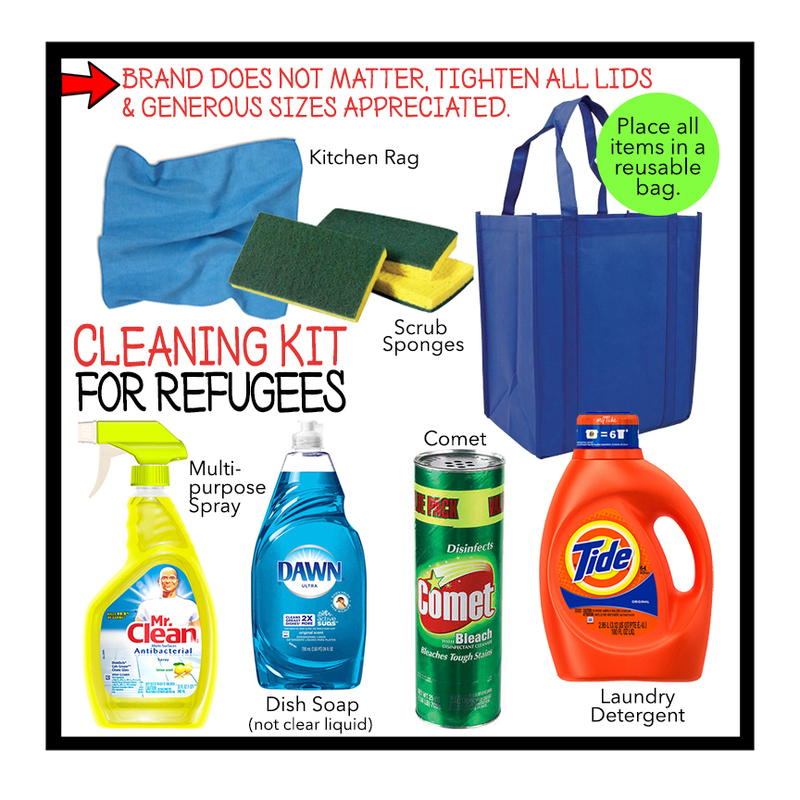 Help refugees buy cleaning tools and supplies. Create a kit with the following items: Laundry detergent, Dish soap (colored preferred), Sponge, Kitchen rag, Comet cleaner, Multipurpose spray. Place all items in a new reusable bag. PLEASE ONLY INCLUDE THE LISTED ITEMS. Browse our registry to see the miscellaneous items our organization needs. 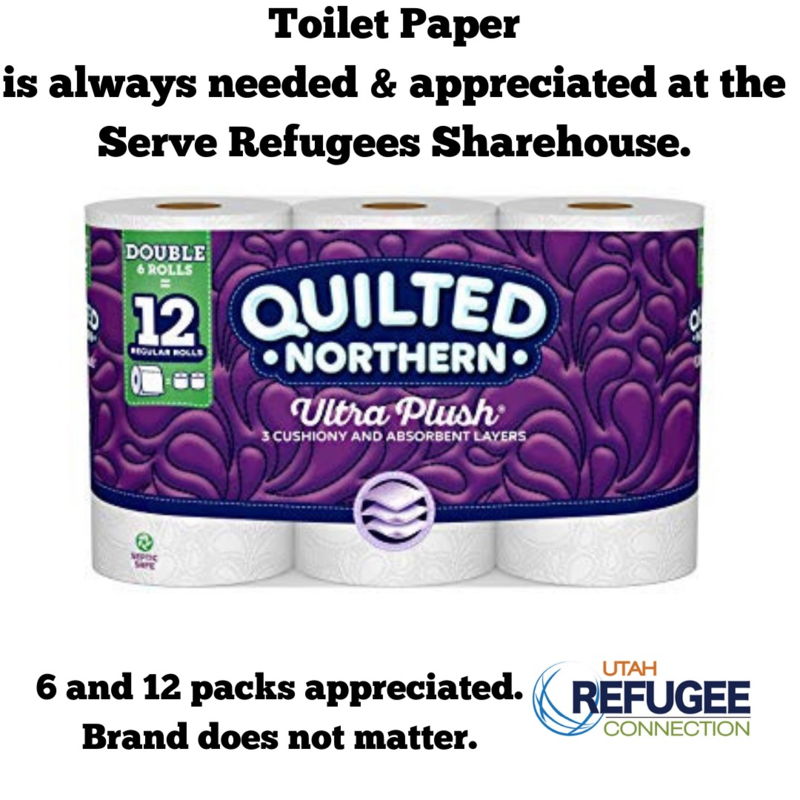 Donate diapers- sizes 3, 4, 5, & 6 to support refugee families in need. This is great to pair with a baby wipes donation. This is a great community project or Eagle Scout project! We can only accept disposable diapers and they must be in the original, unopened packaging. Deliver to the sharehouse or send them through our Amazon registry, see the links below! 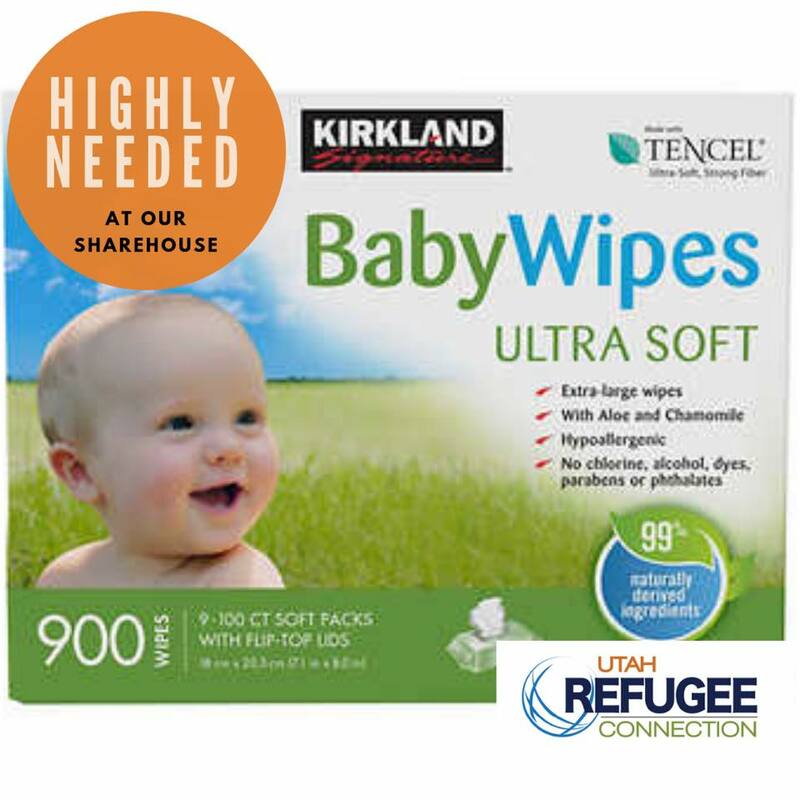 Donate wipes to support refugee families in need. We accept any brand or size as long as they are unopened. Buy an extra pack when you're at the grocery store or click below to efficiently purchase through Amazon. Refugee families are often large and that means a lot of laundry each week! Support these families by donating 100-120 ounce bottles of liquid laundry detergent. This basic need can take a toll on tight budgets. Support refugee families with this daily need. No preference on brand, but 6-12 packs are easiest to distribute. If you’d like to make a monetary donation, use the link below. You can “donate” your birthday to Utah Refugee Connection on Facebook. This feature will automatically ask your friends to make a donation in your honor. 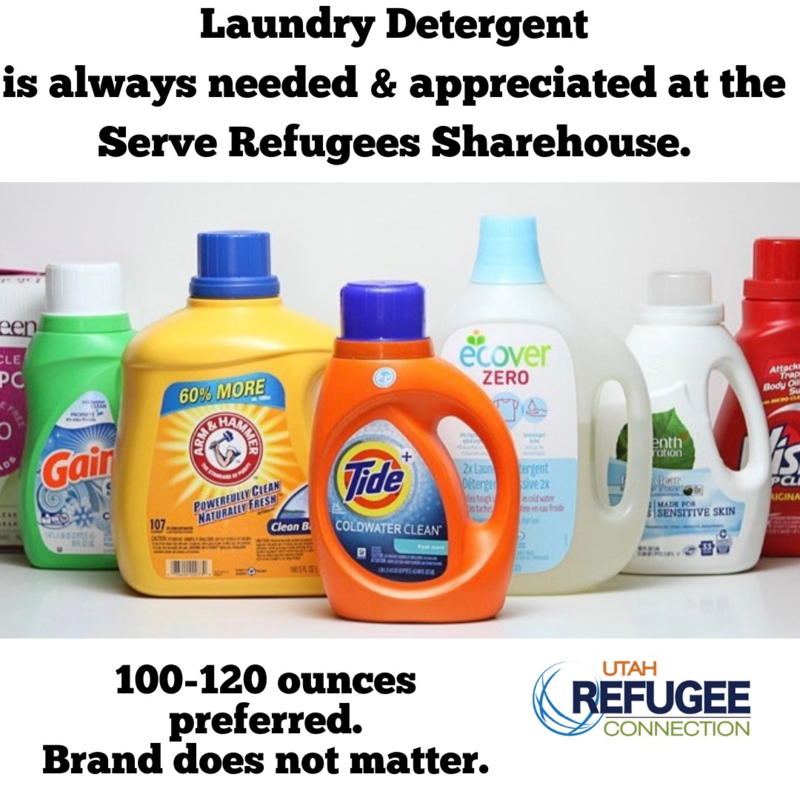 Find us by searching for "The Utah Refugee Connection". When you set up an Amazon Smile account, Amazon will donate 0.5% of your purchases to Utah Refugee Connection. Download the file below for step by step instructions on signing up.